When you walk into the front of the school this week for Meet and Greet, look up at our colorful mural gracing the front entrance. Eleven years ago, when professional decorative painter Jodi Biewen’s second child started kindergarten at Forest View, she wanted the front entrance to reflect the fun of learning and our vibrant and diverse school community. 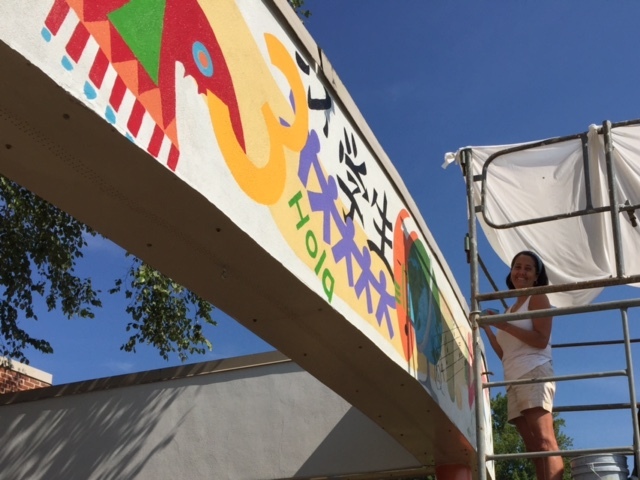 She designed and painted the mural, which includes 70 images, to welcome children and families. For the past few weeks, she has been restoring the mural, known as a frieze, even though she no longer has children at Forest View! Of course, that restoration also includes some updates to reflect our changing times: the original iMac and brown box TV have been replaced with a laptop and a flatscreen. 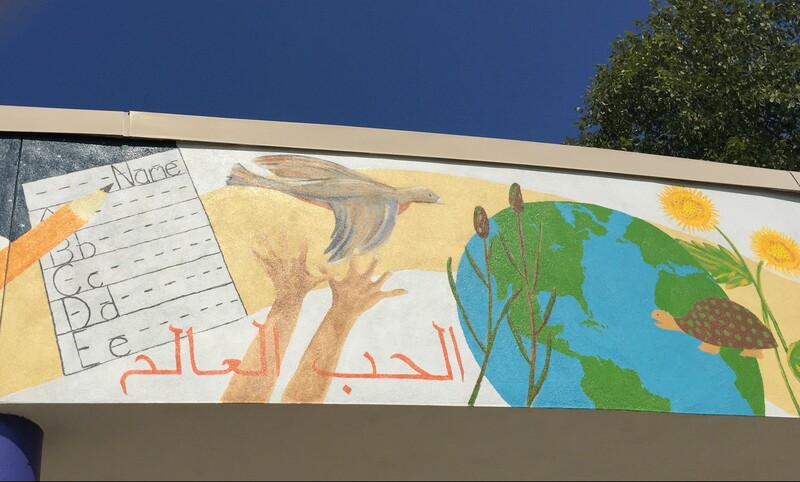 Last week, when an Arabic-speaking family arrived to resister their child for kindergarten, Jodi invited them to contribute a phrase in Arabic to add to the other four languages represented on the mural (English, Spanish, French, Japanese). Our mural now includes world love in Arabic. Thank you, Jodi, and welcome everyone to a new school year!